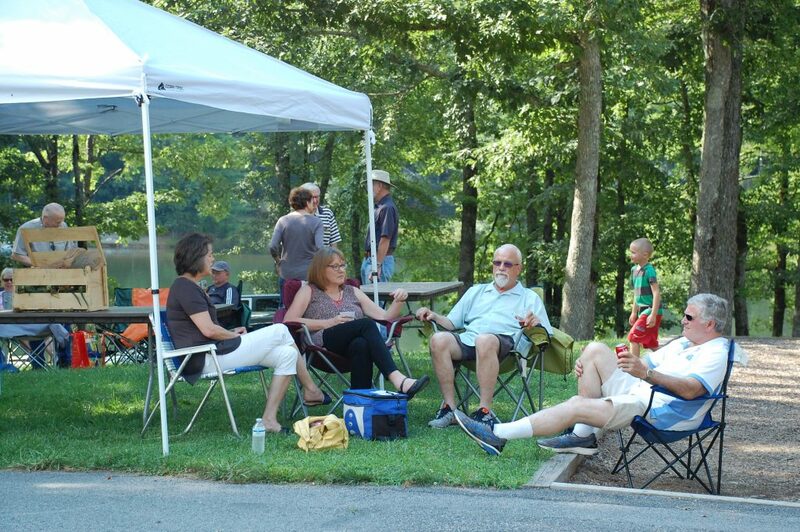 In the midst of a monthly summer pattern of daily afternoon showers, the weather declared an armistice July 20 for our Fish Fry: Sunny skies and pleasant temperatures put the final touch on a sold-out event that many declared was a highlight of the season. Some 270 club members and their guests gathered in Atagahi Park to enjoy a feast for the eyes and tummy. Deep-fried catfish filets that were so big they spilled off the edges of the plates were on the menu, along with baked cod, pulled pork, roasted corn-on-the-cob and all the usual picnic trimmings. And as if that wasn’t enough, you could amble up to the open bar for two different kinds of draught beer, one a local craft brew, and barrels full of soda pop and lemonade. 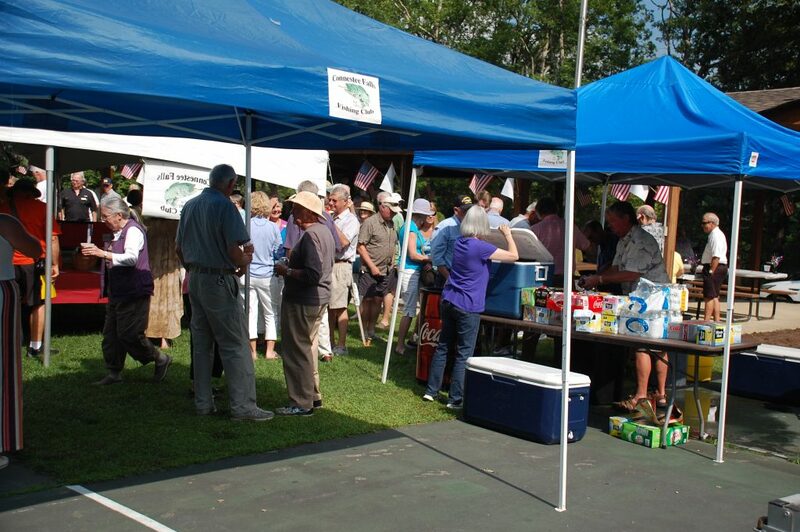 Socializing with friends was what the annual Fish Fry is all about and much of that was centered in the 20- by 40-foot tent that contained a variety of gifts in the raffle and silent auction. In the middle was a stack of more than 40 bottles of wine in our Wine Bonanza, a separate raffle open to all of Connestee. The crowd spilled over from the gaily decorated park pavilion, with a number of people setting up folding chairs on the grass and in the park’s picnic pavilions nearby. Three cheers to former Club President Steve Seelinger and to Kevin Henebry, co-chairs of the Fry, for the months of hard work they put in planning the event. 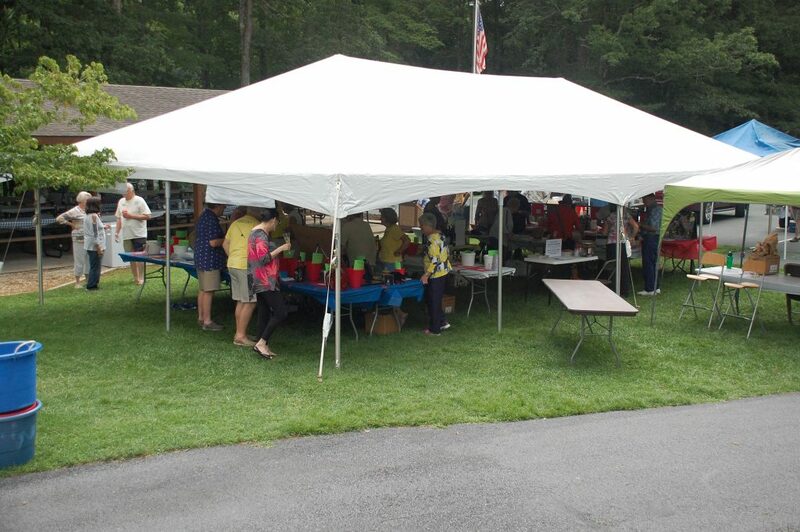 There isn’t room here to mention all the other hard workers, those who cooked and served and set-up and cleaned, but a special thanks to Chris Wunder and his teams for rallying a cadre of generous donors for our giant raffle, silent auction and Wine Bonanza. 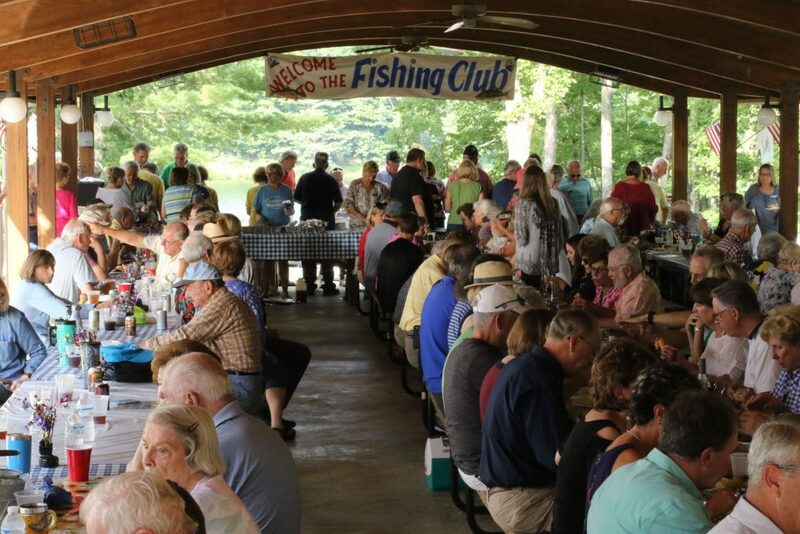 Proceeds from the Fry help support the club’s many activities for the community, such as stocking the lakes, donations to Connestee improvement projects, and our popular Outreach Program which hosts outside groups for half-day fishing excursions at Lake Atagahi.